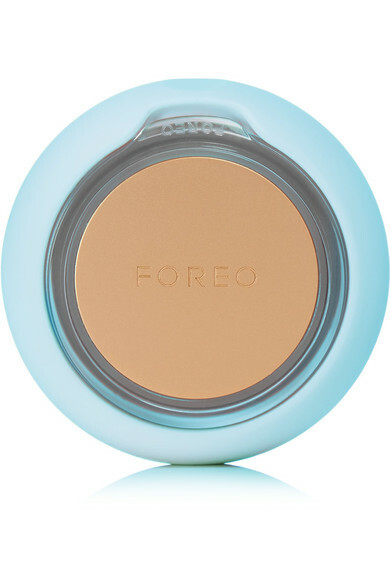 - Glide UFO across your face. Treatment phase changes are indicated by 2 quick pulses. 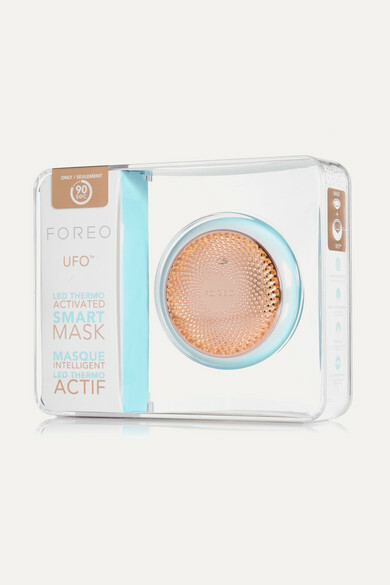 Foreo's 'UFO Smart Mask puts the power of a professional facial in your hands - its cutting-edge design includes a range of LED light therapies and a combination of temperature and pulsation settings within a medical-grade silicon body. Each 90-second treatment combines these technologies with exclusive Korean mask formulas, using Hyper-Infusion processes to better encourage the absorption of nutrients and active ingredients. This model comes with a Make My Day treatment, which includes Hyaluronic Acid and Red Algae to hydrate and brighten your complexion.